SydLUG members have enjoyed more public show success in March, with around 7,000 members of the public attending the two events we participated in. The month began with Cherrybrook “Movie under the Stars” on Saturday, March 2nd. 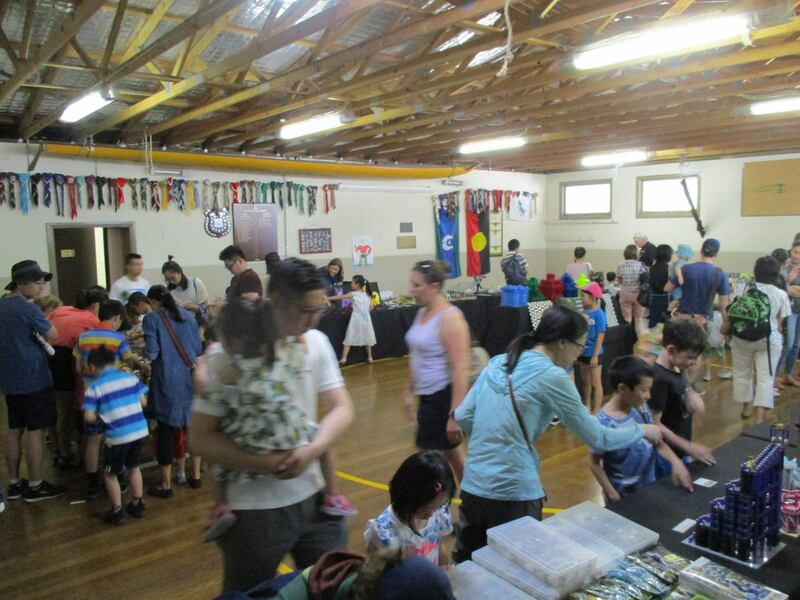 This was the fourth time SydLUG has been involved in the event hosted by the 1st Cherrybrook Scouts. 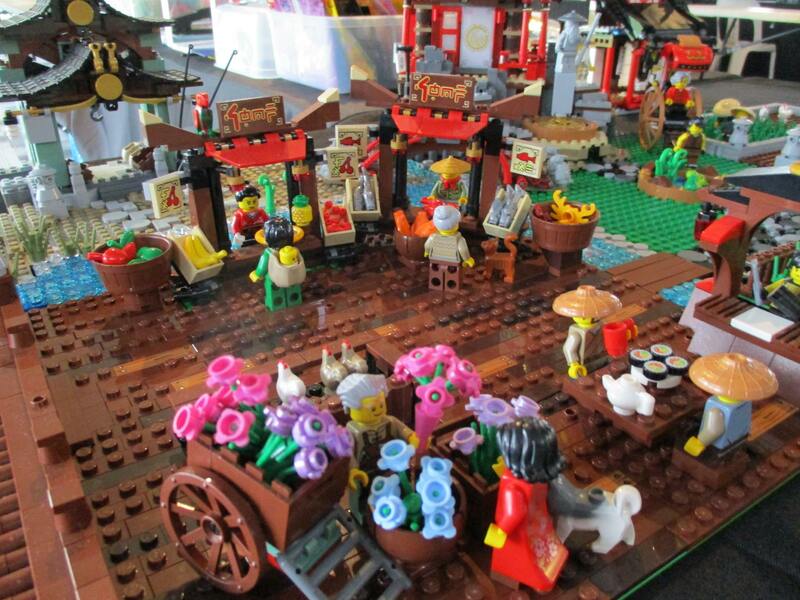 MOC highlights included Friends themed minifig habitats and themed chess sets. There was also a LEGO RC track available for young LEGO fans to test out their racing skills. Over 3,000 people attended the night enjoying the wide range of activities on offer including numerous dance and vocal performances, food stalls, a dunk tank, a treasure hunt climbing wall, jumping castle, and face painting. March 9thand 10thsaw SydLUG return for the second Illawarra Annual Brick Spectacular held at Kembla Grange Racecourse. 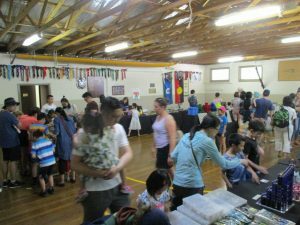 Around 4,000 visitors to the show helped raise over $22,000 for the KidzWish Foundation who help children in the Illawarra who are sick, disadvantaged or have a disability. 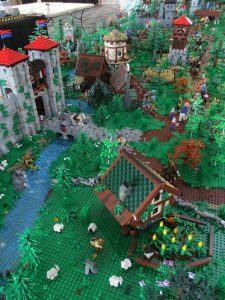 One of the highlights of the show was a massive castle layout debuted by three SydLUG members who had worked in collaboration to make something special for the show. Architecturally impressive were a MOC of Singapore’s Interlace building and the Australia Street MOC showcasing homesteads from different eras. 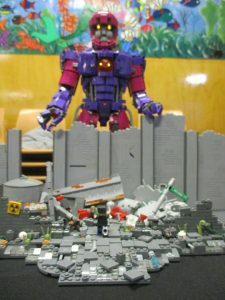 Also popular were the vintage train layout, sci-fi battle scenes and city builds. 2019 promises to be a big year for SydLUG with two public events already done and dusted. 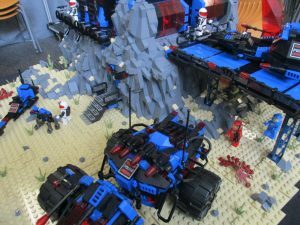 The group warmed up for some big events and new shows with a mini exhibition for Cumberland Libraries in January, showcasing some fantastic new MOCs from members. 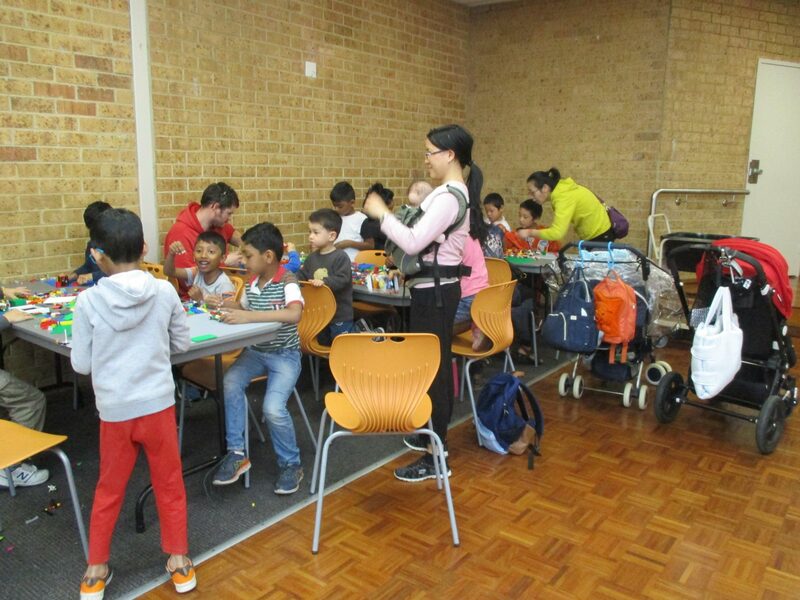 The event formed part of the library’s school holiday entertainment and the LUG members were excited to be sharing their hobby and simultaneously bringing people into the library and reminding them what a fantastic community hub it is. 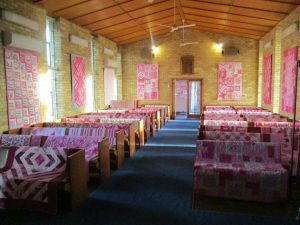 SydLUG have become popular with the Cumberland Libraries, putting on exhibitions across its branches on a regular basis. 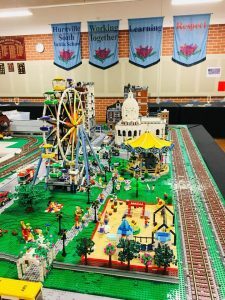 The public show muscle flexed, SydLUG went on to be part of the very first Hills Brick Fair, raising much needed funds for Parklea Public School. The event was held on Sunday, 24thFebruary and attracted around 1600 visitors. 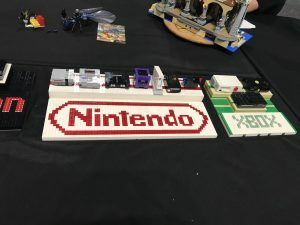 More than 20 members of SydLUG were involved and the quality of displays was excellent. The show had a ‘mech’ theme and MOC highlights included the ‘Gundam’ and a fellow mech giant, ‘Rogue Nation’, which stands at 85cm tall, has 19 points of articulation and over 12000 pieces. Two creative mech scenes debuted at the show – ‘Pork vs Porg’ (yep, pigs and Star Wars porgs in mech suits battling it out!) and a mecha beach battle. 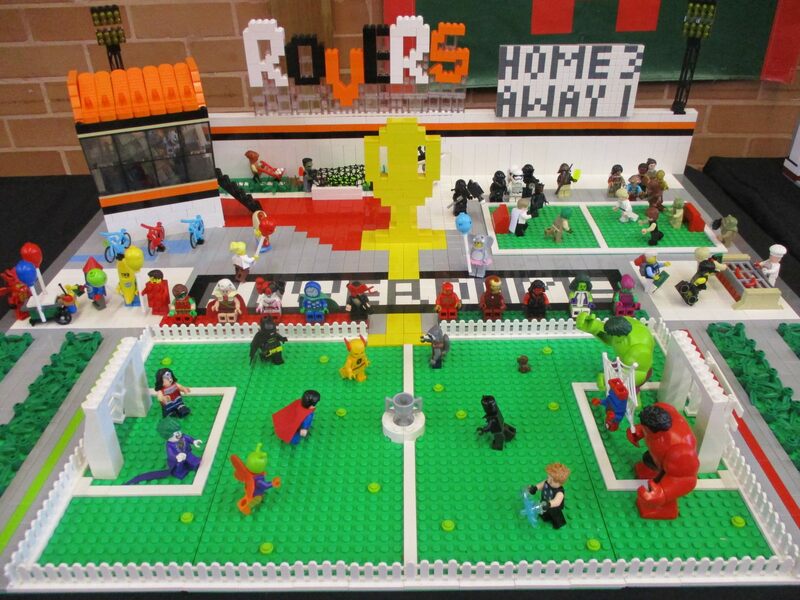 The show was well-supported by the local community with over 30 entries in the kids’ building competition. Winners were judged by SydLUG’s President and LUG Ambassador who were impressed with the standard of the building. “It was fantastic to see so many creative builds across all age groups from our next generation of master builders,” said SydLUG President, Gavin Rich. Show attendees enjoyed a range of activities on the day including a kids’ brick building area, speed building competition, petting zoo, giant slide and jumping castle. 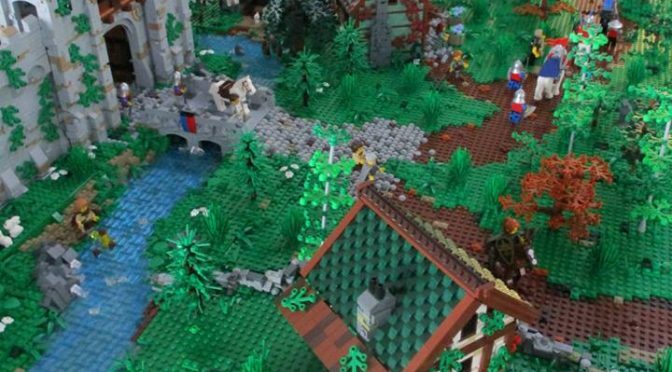 The success of this inaugural Hills Brick Fair guarantees its return in 2020. 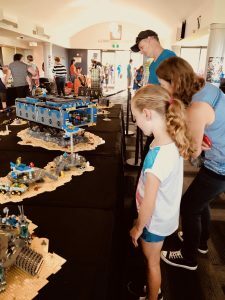 Sydney’s only registered LUG continued to grow its membership, building a vibrant community (both online and in person) for its AFOL members to collaborate and share their passion for LEGO with each other. 2018 was a year full of public displays, allowing SydLUG to make significant contributions to its local communities. SydLUG members took part in 33 events, many of which were organised by LUG members, delighting over 87,000 members of the public and raising over $105,000 for charities, schools and other not for profit groups. SydLUG members are proud to have been able to harness the power of creativity and have such a positive impact on the world around them. SydLUG members continue to be recognised by the global LEGO community for their inspiring builds, raising the bar for quality and ingenuity. 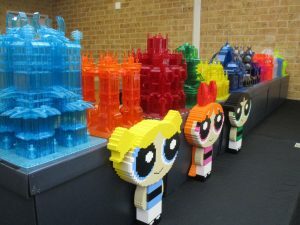 Builds from SydLUG members have been featured on a variety of blogs, fan sites and in magazines. SydLUG president, Gavin Rich, said that 2018 has been a proud year for the LUG. “Thank you to every member of SydLUG for your collective contributions to the success of the LUG. It has been a pleasure to be part of this group and I’m continually amazed by the creations of our members and the willingness of members to get involved and give back to our local communities,” he said. 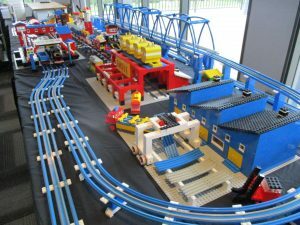 More exciting plans are already underway for public shows in 2019 and SydLUG builders have some brilliant ideas for all new builds. Stay tuned for a brick-tastic New Year! It has been a busy end to the year for SydLUG, with a number of shows and events taking place. 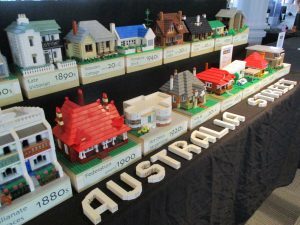 On Sunday December 2nd, the inaugural Mudgee brick fair was held by MS-LUG (Mudgee & surrounds) with 8 SydLUG members helping out by taking along displays. The day was a big success attracting over 1300 people and raising $6000 for the Buy-a-Bale charity supporting NSW farmers. Thursday, December 6th, saw SydLUG represented at two separate Bunnings stores (Kingsgrove & Penrith) for their family Christmas nights. 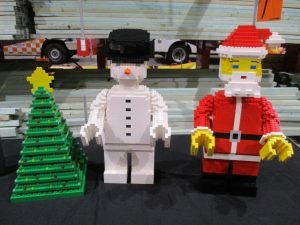 MOC highlights at Kingsgrove included Santa and snowman maxi-figs, a winter village, and Bacon City. The Penrith store highlights included a Bunnings store model, illuminated Christmas vignettes, and a mini city layout. 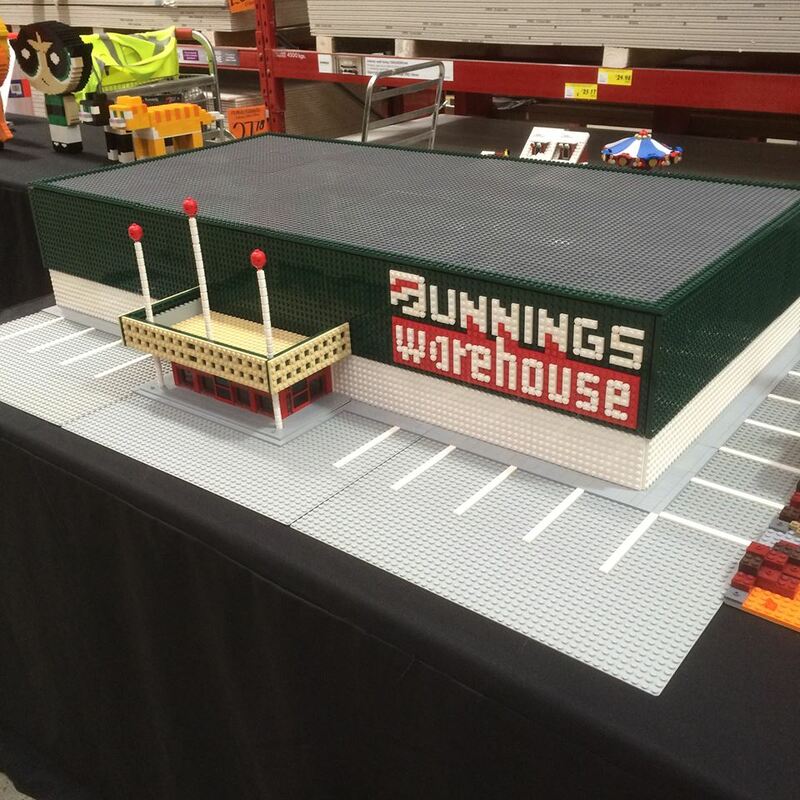 SydLUG has had a successful partnership with Bunnings in 2018 and will return for more events at Bunnings in 2019. The final SydLUG event for 2018, Roselea Brickparade, was held on Sunday, December 9th. The event raised much appreciated funds for the Roselea Scouts. While that’s it for SydLUG for 2018, we have a full calendar of events being planned for 2019 with new exhibitors and new models. St George Brick Fair – Back and Bigger Than Ever! 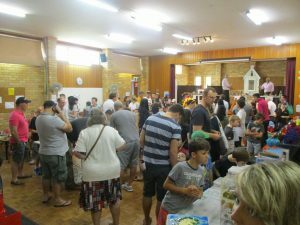 On Sunday, 18thNovember, Hurstville South Public School once again hosted popular family event, the St George Brick Fair. 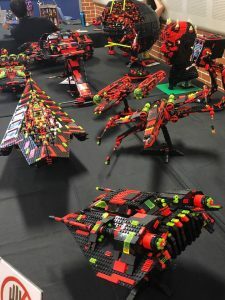 After a year’s hiatus the event has only grown in popularity with over 2,000 people visiting the LEGO-themed fair which featured impressive displays from 16 SydLUG builders. 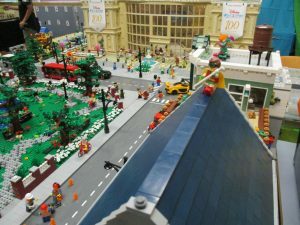 MOC highlights included a Mega City – always a popular display with trains, planes, an automated fairground, Ghostbusters firehouse complete with light-up billboard, a park with ferris wheel and an old fishing village. 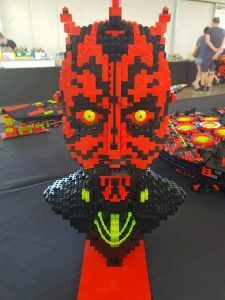 Other displays of note were a collection of M-Tron themed Star Wars Ultimate Collectors Series; a Star Wars Carbon Freeze Chamber and the public debut of a Star Wars Dagobah Scene; along with popular moving parts build Bacon City, which was churning out frankfurts and drumsticks all day long! 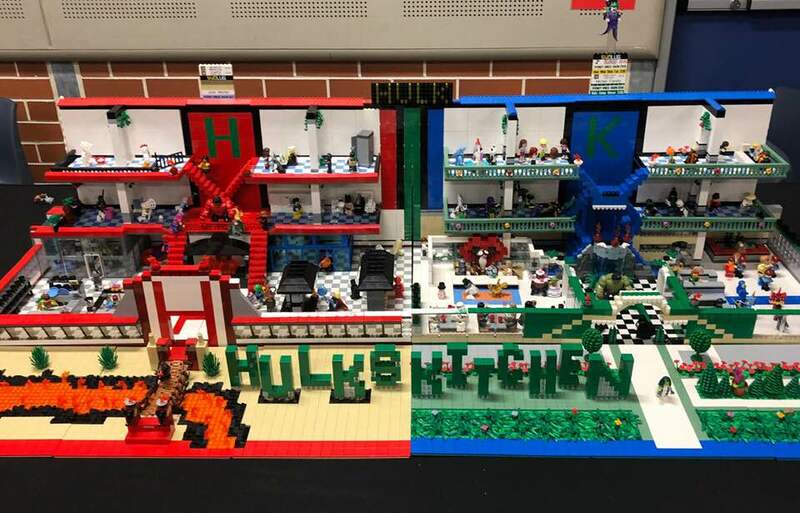 Another crowd-pleaser was the highly detailed Hulk’s Kitchen, containing over 100 minifigs. There was something for every interest with video game inspired models, a surf beach, Pokémon, robotics, classic space and more. 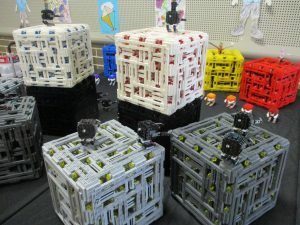 The amazing SydLUG creations were the main attraction, supported by LEGO-themed games created and coordinated by the school’s students. 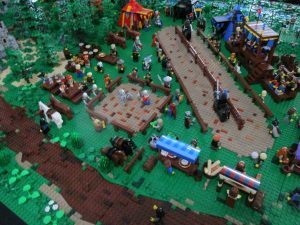 Other attractions at the fair included a BBQ, cake stalls, LEGO Free Play area and an amazing display of LEGO minifig inspired artworks made by many of the students using recycled materials. Proceeds from the day will go towards playground upgrades and student resources at the host school. Live Music, a Pig on a Spit and a SydLUG display – What a Day! On Saturday 20thOctober SydLUG joined the festivities at the 41stOatley Lions Village Festival, a vibrant community event that attracts over 15,000 people every year. SydLUG displays ranged from brick-built statuettes to artistic structures to mini dioramas and some robotics. SydLUG members also cosplayed as Aussie Deadpool and Emma Frost, entertaining festival goers with their creative outfits and introducing kids to the world of cosplay. 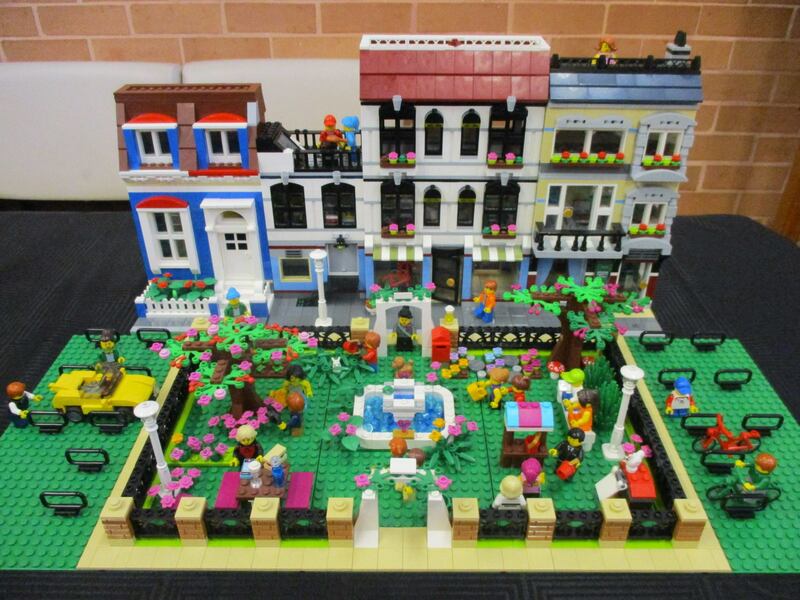 A popular part of the LEGO-related activities was a primary school kids building competition that comprised an individual build competition for each age group: K-2, 3-4, 5-6; and a team building competition across two age groups; Junior (Yrs 3-4), Senior (Yrs 5-6). Participating schools were Oatley Public, West Oatley Primary School, St Joseph’s Primary, Oatley. Oatley Public won the junior competition with certificates awarded by the Mayor of Georges River Council, Kevin Greene. The senior competition was taken out by West Oatley Primary School with certificates awarded by state Liberal MP, Mark Coure. 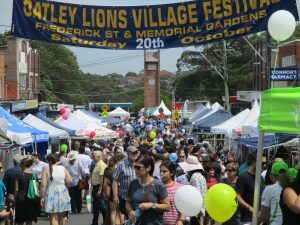 This year’s festival included 180 stalls offering a wide variety of merchandise and food, spread across Frederick St and the Oatley Memorial Gardens. Two stages featured live bands and dance performances all day. 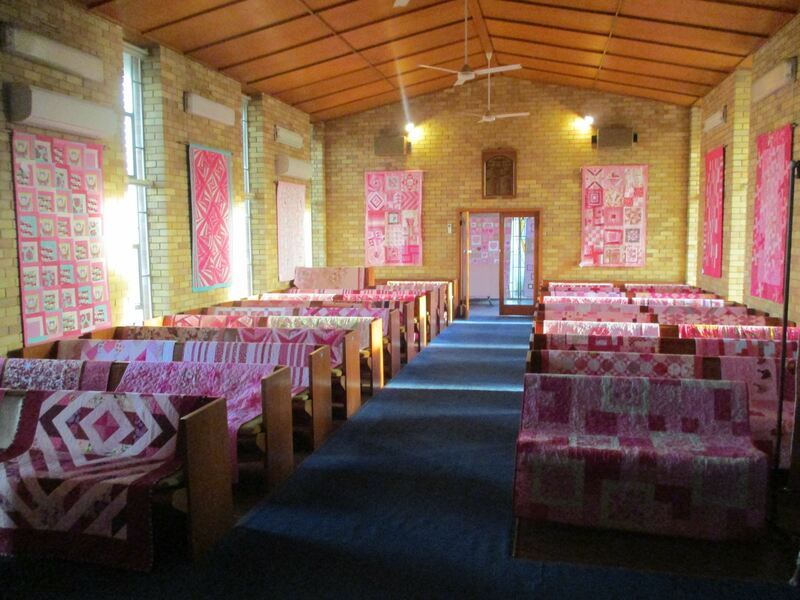 The event also hosted the ‘McGrath Foundation Pink Quilt Competition’ in the Oatley Uniting Church. SydLUG Events Coordinator, Ray, said SydLUG enjoyed contributing to the Oatley Village Festival and will be back. ‘We are looking forward to bringing more LEGO inspiration to next year’s event,” he said. Three shows in three days for SydLUG! October came to a busy conclusion for SydLUG this year with the LUG supporting three separate school-based events over the course of one weekend. Some members attended all three shows, which was a massive effort and greatly appreciated by the schools involved. The weekend kicked off with the Shellharbour Twilight Fete on Friday, 26th October. 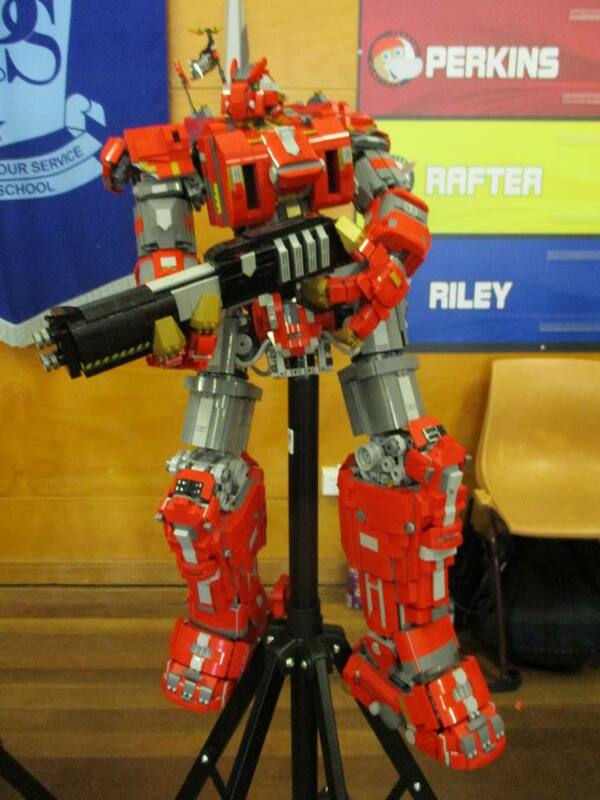 This is the sixth year members of SydLUG have supported Shellharbour Public School with their fundraising by providing their creations for display, including the public debut of a Sentinel vs Wolverine build. 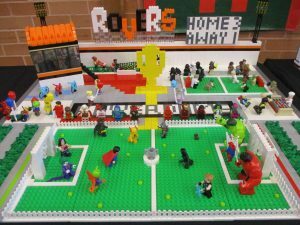 This year’s kids building competition ‘Build a Scene for Your Minifig’ was the biggest yet, with over 40 entries. Around 2,000 people visited the fete which also included stalls, rides, food trucks, and an ice rink. 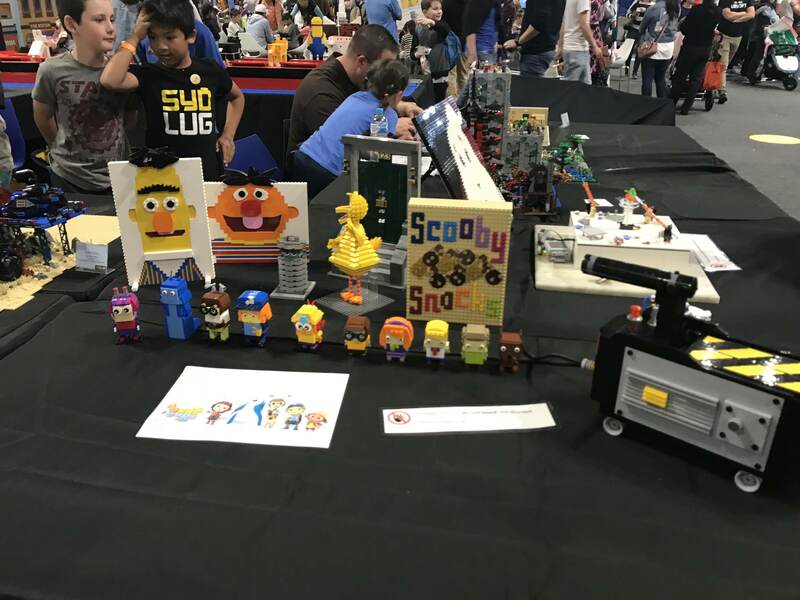 On Saturday 27thOctober, the Ringrose Public School Fete featured a SydLUG display for the first time and the 2,000 attendees were excited by the new attraction which featured alongside stalls, rides, a silent auction, KindiFarm and chocolate wheel. 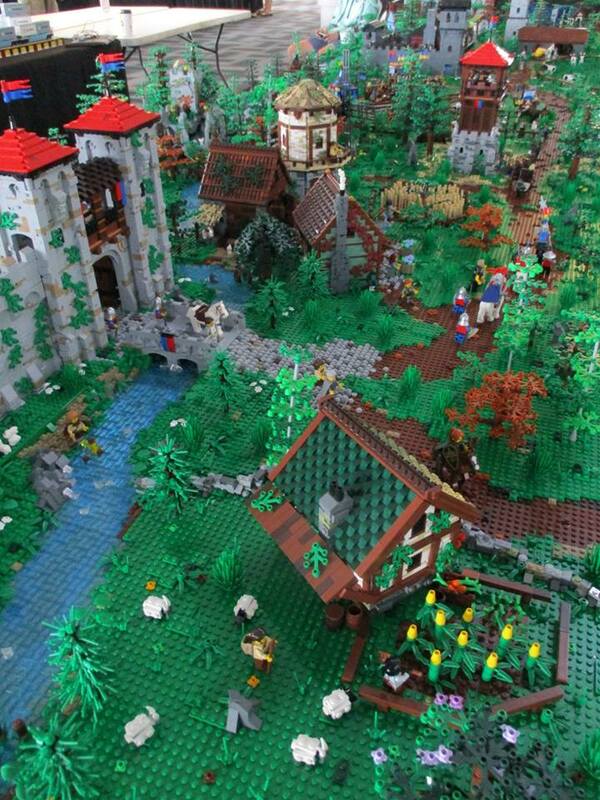 MOCs included the massive All Star Arena and Precinct and the ever popular Bacon City. The school also ran a kids building competition with finalists being awarded by the Mayor of Cumberland Council, Greg Cummings. 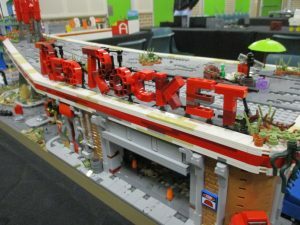 To conclude the weekend SydLUG displayed at the Sutherland Brick Fair, where hundreds of visitors were treated to debut public showings of a Red Rocket MOC from Fallout and a Micro Manager Battle. The show was in support of Miranda Public School. SydLUG was proud to support public education and assist these schools in raising much needed funds. 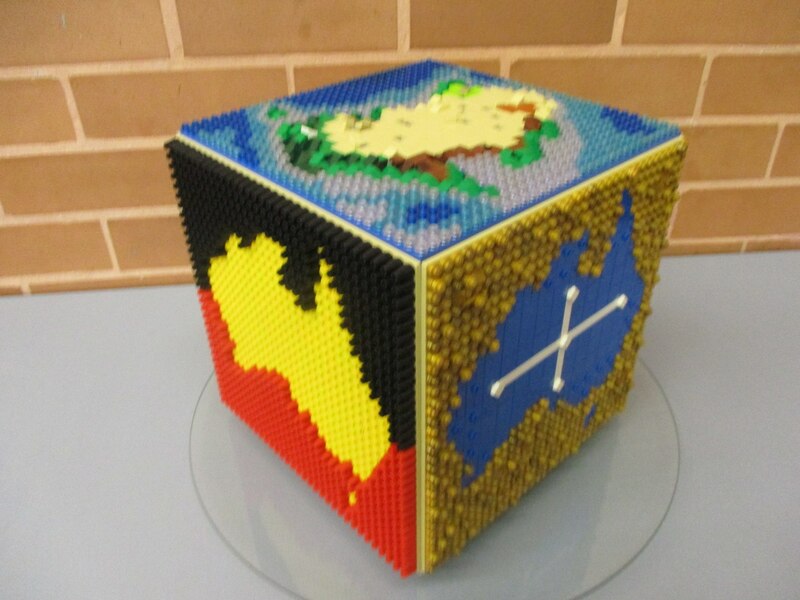 Members of SydLUG visited Wentworthville Library on 3rd October for their third and final Cumberland library display for 2018. A crowd of over 400 locals visited throughout the day, many of whom were experiencing their first LEGO display. MOCs on display were a space police base, castle, Bricktown Library, trans towers, Power Puff Girls, Minecraft animals, themed chess sets and illustrated songs. Drawing inspiration from the display, children kept the free building tables busy all day, with some dedicated young builders working for 2-3 hours on their own masterpieces. 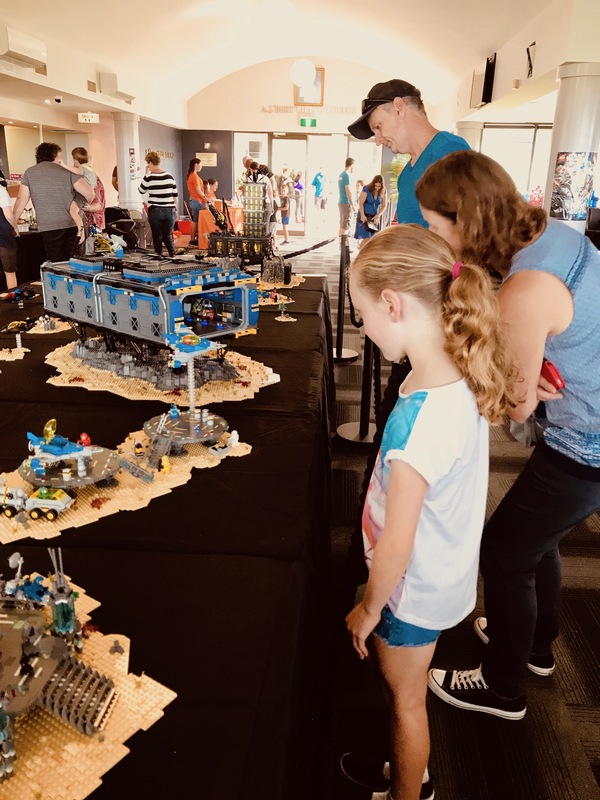 Having enjoyed a great partnership in 2018, SydLUG will continue to support the Cumberland libraries with more school holiday events in 2019. 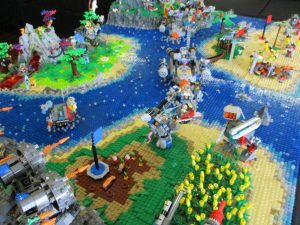 On September 29-30 SydLUG took part in their very first Playworld event. 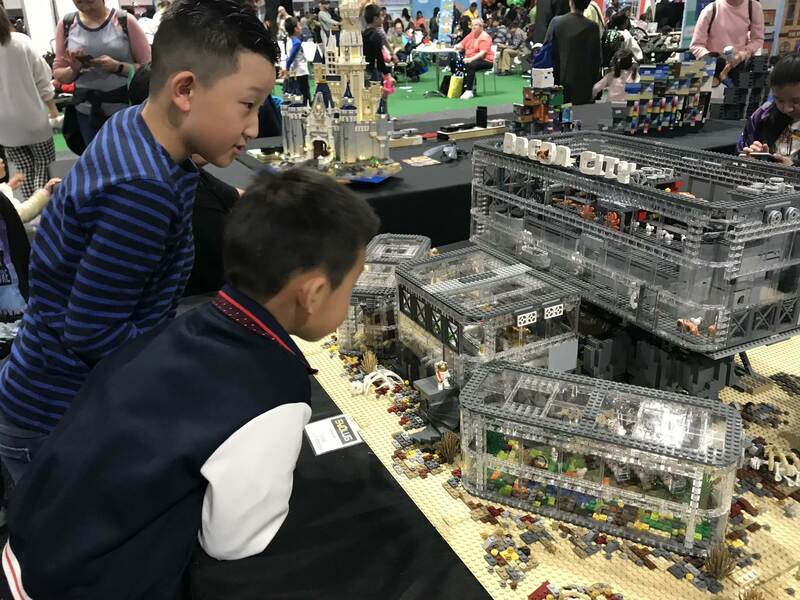 Held in Darling Harbour at the ICC, the 2-day event was designed to spark the imaginations of children and delivered a high energy, engaging, interactive and most importantly, fun event experience. 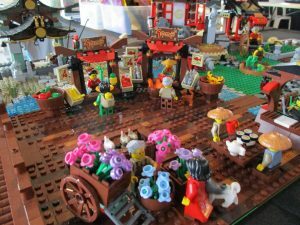 MOCs included the ever popular Bacon City with its conveyor belt of doomed piggies, a chronology of console games and colourful creations inspired by children’s TV shows Sesame Street, Scooby Doo and the Beat Bugs. 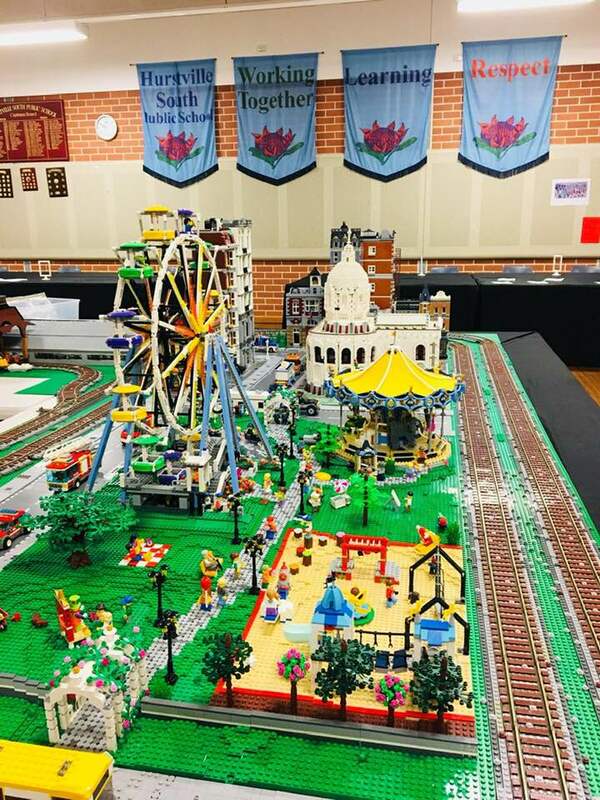 SydLUG once again offered their support to Jannali Public School’s fundraising efforts by displaying at their Market Day, Fun Fair and Toy Brick Extravaganza on Sunday, 23rd September. It was the third consectutive year the LUG had been involved in the popular local event, which attracted around 1500 people. Highlights of the Toy Brick Extravaganza included a Venice MOC; Hulk’s Kitchen; Marvel vs DC Sports Field; Pastel Towers and the debut showing of a ‘Colours of Oz’ Australia-themed cube build. The event had a lively spring carnival atmosphere and visitors were kept entertained by rides, stalls, food, games and live music and dancing. SydLUG were glad of an opportunity to share their hobby and at the same time contribute to vital fundraising efforts for one of Sydney’s public schools.